When shooting quiet events - and/or those events where the sound of the event is the main attraction, I try to keep my shooting to a minimum - focusing on the insurance shots. The 5D Mark III's Silent mode is quiet enough that I can keep shooting - and go after more unique (and lower success rate) shots such as this violinist in motion-blurred action. Of course, the Canon EF 70-200mm f/2.8 L IS II Lens' IS was integral to being able to shoot at 1/15 second and 200mm. Welcome to the seen-by-few Rocky Brook Falls in the T15-R9 area of Northern Maine. I frequently drag the family along to the places I shoot. These trips are always a great experience for them - but not always a "happy" experience, if you know what I'm saying. Rocky Brook Falls is beautiful and is a very fun place to play in the water (at normal summer water levels). There are deep pot holes and a variety of water depths and current speeds in which to enjoy the clear water (note that care must be taken to insure safety here). Coming up against the enjoyment part is the water temperature which varies between cold and really cold. Cold water means warm air and direct sunlight are needed for the "happy" part to happen. And I do make the effort to keep "happy" around as life is more pleasurable for all when "happy" is with us. Rocky Brook Falls are located in the middle of the forest approximately 16 miles from anything (including electricity and paved roads). Direct sunlight happens in the middle of the day - the "happy" time for the girls. You are of course right in thinking that direct sunlight is not the ideal time to be photographing the falls from a landscape perspective. For the photography goal to be achieved, early-mid-morning and late-afternoon-through-nearly-dark are the best times to shoot this location. Cloudy days will also work well, but these are harder to schedule. The plan for this clear day was to take the family to play at the falls during the direct sun and warmth of early afternoon. This time provided great scouting info for me and the girls had the great time we all wanted them to have. I then brought the girls back to camp (over an hour away including the round trip hiking and logging road driving) and returned alone for the late day shoot. I packed about 50 lbs of gear in with me, but primarily used 5 wide angle lenses on the Canon EOS 5D Mark III. I'll share more examples from this shoot, but this sample image came from the new-at-this-time Canon EF 28mm f/2.8 IS USM Lens. I'm really liking this compact lens and its also-new sibling, the Canon EF 24mm f/2.8 IS USM Lens. This photo was basically out-of-the-camera with the exception of a custom white balance for which I clicked on the white water just below one of the brightest locations in the frame. The Standard Picture Style with a sharpness of "2" was used (I shoot "Neutral" in-camera for a better histogram). Long exposure noise reduction was used in-camera. A clear sky was ideal for using a manual exposure setting which I adjusted slowly as the sun set. To get the ideal exposure, I allowed a very small area of the very brightest water to go pure white - blinking on the LCD during image review. A B+W MRC Circular Polarizer Filter, by far my most frequently used effects filter, was used to cut the reflections including those on the surface of the water. The filter also reduces the light reaching the sensor which allowed a longer exposure - creating more motion-showing blur in the water. Interesting is that the amount of water coming over the falls fluctuates with some significance. This is normal for waterfalls in general, but more visible in smaller falls such as this one. No two pictures look exactly the same even when taken in quick succession without moving the camera. When I dialed in a composition that I liked, I would take a number of shots to gain some natural variation. By moving in close (just outside of the strongest mist), this composition emphasizes the closest/largest area of the falls with smaller falls diminishing through the frame. I composed to reduce the details intersecting frame borders including no rocks intersecting the bottom of the frame. I could have spent days creating new compositions in this place. A soccer player prepares to send the ball toward the net, but is appearing twisted up in the process. Shooting with a long lens, wide aperture and a full frame body creates a very shallow depth of field that requires accurate autofocus for success - especially when the subject is in fast action. Anytime is a great time to visit Ricketts Glen State Park, but the fall is my favorite time. With cloudy weather promising to provide a giant softbox over this waterfall-heaven (22 named falls and perhaps hundreds of smaller falls), I packed two of the world's best wide angle lenses on 5D Mark III bodies, a telephoto zoom lens I was reviewing on the 60D, a couple of other lenses, tripod, rain gear and other essentials (including food and water) totaling about 50 lbs. into my Lowepro Pro Trekker 400 AW Backpack and headed to my favorite Pennsylvania state park for a long day of photography. Not long after hitting the Ganoga Glen trail, I realized that the water flow was very low. Low flow at some waterfalls is a big problem, but the falls at Ricketts Glen simply provide different opportunities. One such opportunity came at Oneida falls, the second falls encountered on this trail when leaving the Lake Rose trailhead parking lot. The water is typically falling over the entire width of this 13' cliff. On this day, access to the cliff was available, though precarious due to slippery rock with very narrow footholds. Avoiding dripping water as best I could, I placed one foot on a tiny ledge just above the water and the other foot was preventing me from falling into the cliff (with my elbow assisting some of the time). Similarly, I positioned one fully-retracted tripod leg straight out to the left and fully-extended the other two legs downward to catch in small crevices in the rock face. Note that one reason to buy a strong tripod is that you sometimes need to use it for your own safety support. This position let me shoot through the back of the falls and incorporate some fall foliage into the frame. The camera was set to C2 mode – my standard custom landscape mode. I have this mode programmed to enable mirror lockup, the 2-second self-timer and long exposure noise reduction. My ISO defaults to 100 and exposure is set to manual. A B+W XS-PRO circular polarizer filter was used to cut the glare, especially noticeable on the water. I manually bracketed exposures slightly and used manual HDR to darken the colorful trees slightly. This image was captured with what I consider to be one of the world's best landscape photography lenses, the Canon TS-E 24mm f/3.5 L II Lens. It is phenomenally sharp and has little distortion. Another big advantage this lens has is the movements. In this example, I was able to tilt the lens slightly to the left to allow the very close foreground on the left and distant background on the right to both be in sharp focus without resorting to a more-diffraction-impacted narrower aperture. In the end, a great lens (and camera) along with low water flow yielded my favorite image of the day. Shooting track and field is great fun. You know when and where your subjects will be and can setup for the best lighting and background. This location gave me front lighting from a setting sun, lines from the track sweeping around in the image and a background distant-enough to be blurred. Even though beautiful, it sometimes takes effort and creativity to find interesting photo compositions at a beach. At Island Beach State Park (near Seaside Park, New Jersey), I was exploring when I discovered this sand fence creating great late-day shadows in the nearly undisturbed sand. The undisturbed sand on the unrestricted side of the fence is not easy to find. The late day sun is of course often available. I captured many compositions of this scene, but for this shot, I angled the camera and aligned the sun so that the fence was blocking most of it. This in combination with a narrow f/16 aperture allowed a bright starburst effect that helps set off an already attractive image. Always be looking for one more way to improve your image. I'm just back from an intensive 9-day photo trip to Colorado. Overall, the trip was great, though the weather was not cooperative for about half of the daylight hours. Bad weather can create the dramatic skies that are highly desired for landscape photos, but rain, snow and heavy fog can be especially challenging when distant mountains are a primary subject. At the top of my distant mountains list were the Maroon Bells, a pair of fourteeners (Maroon Peak and North Maroon Peak) located in the Maroon Bells Scenic Area near Aspen. These tree-less, maroon-colored peaks are generally considered the most-photographed mountains in North America. They are most-photographed for good reasons. The mountains are beautiful, the scene in front of them, including Maroon Creek Valley and Maroon Lake, is beautiful and the access is very easy. Getting this picture into the portfolio, however, was definitely not easy. I mentioned that access to the beautiful Maroon Bells scene is easy. The hike from the relatively-small parking lot to Maroon Lake is a short one. I carried about 50 lbs. of gear to the lake in a Think Tank Photo Airport Accelerator Backpack and a Think Tank Photo StreetWalker worn as a front pack. But, this hike is the easy part of getting this photograph. There are basically two ideal sections of the Maroon Lake shoreline to shoot from with a limited number of photographers fitting into them. Getting the perfect location requires you to be there before the other photographers wanting the same easy-to-get-to location (just getting a parking space can be a challenge). Factor a 30 minute drive from the nearest hotel to the early arrival time requirement at the parking lot (a limited amount of campsites are available closer to the location) and the result is a very early AM alarm. By the time this photo was taken, there were nearly 100 photographers standing beside Maroon Lake, and I assure you that many did not have optimal shooting positions (just hanging out with this many friendly, enthusiastic landscape photographers makes this trip worth the effort). Aspen in their brilliant yellow (and red) fall foliage colors were my other primary photography target for this trip. There are only a handful of days each year when the aspen trees are at their peak, so the timing of this trip has to be perfect. Locals can simply watch the foliage reports and make the drive (just over 4 hours from Denver) when the trees are peaking, but the rest of us need to plan ahead with airline ticket purchases, hotel reservations and vehicle rentals. My strategy was simple: plan the trip for peak foliage dates from recent years. In Aspen, this strategy worked perfectly for me. Some trees were beyond peak and some remained green, but most were at or near peak color. Though this is a highly desired location most of the year, the peak foliage definitely factored into the large crowds I encountered. To get the peaks of the Maroon Bells to glow at sunrise requires a clear sky in the east during sunrise and to get a perfectly clear reflection of the peaks requires no wind. I was not hopeful during my 2 hour lakeside wait. Unlike many of the other mornings on this trip, the sky was perfectly clear. But, there was enough of a breeze blowing to create mirror-reflection-destroying ripples in the water. A moment before this photo was captured, the lake became a giant mirror and remained nearly flat for the next 3-4 hours (this duration is unusual for Maroon Lake) until the sun lit the entire valley floor below. With the right scene unfolding in front of me, capturing the right framing and exposures became the next challenge. The framing was not hard (it is hard to go wrong at this location), but the exposures required more attention. With direct sunlight hitting the mountain peaks and the light-absorbing evergreens in deep shade, there was a significant amount of dynamic range to be captured. Using a multiple exposure HDR technique was the key to capturing the entire scene and all I had to do in the field was to insure that, for each final image, I had proper exposures captured for the highlights (shorter exposure) and for the shadows (longer exposure). Back home in the studio, the processing work was much more difficult than capturing the right exposures in the field. Blending the two RAW images into a natural-looking HDR image was a complex process. I'd be embarrassed to say how many revisions I've made to this image, and while I have many variations that I like, I can't say that I am completely satisfied yet. This is my favorite revision today. The iconic photograph of the Maroon Bells reflecting in Maroon lake with an apron of brilliantly-colored aspen trees lining Maroon Creek Valley was high on my bucket list and checking this line item off was my highest priority for this trip. No, this photo is not going to be unique (at least not completely unique). A lot of other photographers (close to 100 from this day alone) could have this or similar photos in their portfolios (if they executed and processed properly). I enjoy looking at photos taken by others, but this one is mine and there is something special about having iconic images in your own portfolio and having photos you created hanging on your walls. The memories these photos hold are part of their specialness. This particular image does not tell much of a story, but the story behind the image is big. That my father joined me on this particular trip was part of the specialness. Because this shot was a priority, I allotted the most trip time (two full days and an additional half day if needed) to the Aspen area. The first morning was perfect (I shot from the side of the lake until about 11:00 AM and in the valley most of the day) and the second morning was an exact duplicate of the first until a breeze picked up just after sunrise (I moved to other shooting locations at this time – as planned). Lakeside, I was simultaneously shooting with two complete tripod-based setups (one under the other when space was tight or to better protect tripod legs from accidents). With all of the effort and timing coming together perfectly and with the short duration of mountain peaks being lit, two rigs allowed me to maximize my take-home. This particular image was captured with a Canon EOS 5D Mark III and one of the best landscape lenses ever made, the Canon EF 16-35mm f/4 L IS USM Lens. They worked perfectly. Multiple Dahlia flowers touching results in petals coming in from the outside of the frame. A narrow aperture, close focus distance and a full frame DSLR create a soft blur throughout the frame. While Hawaii is not as well known for its snow as it is for its beaches and resorts, it is indeed a land of fire and ice. The 13,796' (4,138m) summit of Mauna Kea Volcano is spectacular at any time of the day, but especially so at sunrise and sunset. And I was treated to the results of a recent snow storm. My time here was at sunset and my shooting was not of the setting sun itself, but of the landscape being hit with the warm light that was practically shining upward. Lighting as seen in this image does not last very long and the compositions available seemed endless - though in a more horizontal orientation. I could have used a wide angle focal length and cropped the plain sky and less-attractive foreground from the image, but I instead shot a multi-image panorama that would give me higher resolution for cropping various compositions from later - or for printing large. This image was shot handheld (relying on image stabilization) as I was moving fast to get as many varied shots as possible. Brianna, my high school senior, has had a very successful high school track career from multiple perspectives including having her name on three school records. This success did not come without a huge effort on her part, and we had discussed shooting a more-formal senior picture highlighting her passion for mid-distance running. Track season became busy and I shot many images of her competing, but time got away from us and suddenly we had only one evening remaining before she had to turn in her uniform. The weather forecast for that evening called for scattered showers and we were watching the radar very closely. I was packed and ready, and we decided to go for it. After determining the ideal location on the track to shoot at, I began unpacking. I had three Canon 600EX-RT Speedlites and a Canon ST-E3-RT Speedlite Transmitter to control them with. Two Speedlites were mounted on background light stands (small, light and simple) with Justin Clamps used to hold the Speedlites to the poles at any height I wanted. The third Speedlite was mounted to a weighted light stand with a 60" reversed/shoot-through umbrella mounted to a Manfrotto umbrella adapter. I first mounted the umbrella to the stand and almost immediately a light rain began to fall. I quickly put Brianna, who feared that her hair and makeup would be ruined, under the Photogenic "umbrella". The rain mostly passed within 10 minutes or so and we went to work. The two flashes on background light stands were set to group B and used as rim lights, placed to the side or slightly behind the subject as composition allowed. The shoot-through umbrella's flash was set to group A and used as the main light. Ambient light (for the entire background) was controlled through a manually-set camera exposure. The flashes were in E-TTL mode and +/- exposure for the two groups was controlled by the ST-E3-RT's Group mode. While this may all sound complicated, it was not. Setup was very simple and I was able to quickly and easily adjust/balance the ambient, main and background light levels from the camera. While the rain stayed away for much of the two hours we were shooting, it did not fully stay away. Fortunately, this entire kit, including the Canon EOS 5D Mark III and Canon EF 24-70mm f/2.8 L II USM Lens, was weather-sealed and we were able to make many great images in this time. I had planned this shoot for an evening so that the flashes would be able to overpower the ambient light levels, though I had hoped for a bit more light than we had. The aperture was wide and the ISO was moving up by the end of the evening. Still, the shoot was a big success for us. Even selecting this particular image from the many shots of just this pose was difficult. With lighting dialed in, I had Brianna repetitively start from specific position on the track and take one big stride with her left knee and right arm (with the baton) forward. I timed the shutter release (a short shutter lag is extremely useful in this situation) for a near-top-of-stride subject position that coincided with the lighting setup. The composition was arranged to take advantage of the lines on the track. With a wireless flash system and a little effort, we created the images we had envisioned. For some, this is the ultimate thrill. I'm more thrilled taking pictures of this particular sport. And the 5D III and 400 IS II combo performs remarkably well at this task. This shot was my preference from a burst sequence capturing the jump. Going off of the falls trails in The Glens Natural Area in Ricketts Glen State Park should only be done cautiously due to the steep and slippery terrain, but sometimes different-than-usual images can be made by doing just that - getting off of the trail. A setting sun, as usual, creates a great warm light. The close focusing distance, wide aperture and full frame sensor create a diffusely-blurred background. The little bug provides a small amount of entertainment and a point of focus on the beautiful Daffodil. Roses are arguably one of the most beautiful flowers on the face of this planet. They don't smell so bad either, which makes working around them even more pleasant. Buy the wife (or yourself) a bouquet of roses and you have days' worth of photo subject for your macro lens (and presumably a happy spouse). For this image, I attached a Rogue FlashBender softbox to a forward-facing Canon 600EX-RT Speedlite. With this setup, I was free to shoot handheld as I worked on finding pleasing compositions – with deep-reaching soft light following me. This turned out to be my favorite image from this shoot. A nearly centered rose's petals curve outward into and subsequently out of the frame in a balanced manner. Later, print one of your rose pictures to gain even more return on your small investment. When setting up to shoot a sports event, I attempt to predict the area my subject will be in, adjust my distance as much as possible and attempt to align with the best combination of light direction and background. Natural tree lines are one of my favorite backgrounds - as seen here. Moving in close provides a unique perspective of a ski boat and its tow vehicle. A circular polarizer filter was used to cut some of the reflections. In track and fields events, you know where your subject will be. You can only hope that they are not blocked by another competitor, but positioning near a corner can allow a clear shot even if there is a runner in front of your subject. This position in the corner also allowed me to keep the curve of the track line running through much of the frame. The Canon EF 500mm f/4 L IS II USM Lens is an excellent outdoor equine photography lens. I was testing this lens' autofocus capabilities when this picture was taken. I used a low-to-the-ground shooting position to keep the rider's head above the skyline. I will note that I was not completely comfortable (psychologically) shooting close to the ground with a 1,000 lb animal bearing down on me at high speed. The Portland Head Lighthouse is an iconic and heavily photographed subject. For good reason of course. It is beautiful, the scenery around it is beautiful - and it is very accessible. I had a stop-over in South Portland, ME planned on a recent trip to the northern-most section of the Maine North Woods. While there are many great coast scenes to shoot in the South Portland and Cape Elizabeth areas, I had only one late evening and early morning available - and chose to point my lenses at the Portland Head Light. Arriving too late to catch the sun on the lighthouse, I was fortunate to have a thunderstorm being lit by the setting sun in the background. Two Canon EOS 5D Mark III-mounted Canon EF 24mm f/2.8 IS USM Lens exposures merged in Photoshop provided the above image. I was not nearly as fortunate the next morning as the apparently-wildly-popular "Beach to Beacon 10k" run was coincidentally scheduled (note made to self). I opted to avoid battling the road closures, lack of parking, huge crowds and thousands of competitors. My time in Maine did give me chance to use the Canon EF 24mm f/2.8 IS USM Lens with high frequency, and along with shooting locally, I have developed a very positive opinion of it. A Luna Moth competes with a climatis flower for your attention - both being extraordinarily beautiful subjects. When shooting a closeup of a moth, butterfly or other similarly-shaped subject, select a shooting position directly perpendicular to the wings to keep the entire surface within the shallow depth of field this shooting distance provides - even at f/11. Kilauea Volcano, in Hawaii Volcanoes National Park, is currently the only active volcano in Hawaii. I had only one day allocated to Hawaii Volcanoes NP and unfortunately, the day was nearly completely a rainout. The rain was heavy, the fog was thick and the wind was very strong. I didn't even attempt to photograph with the rain protection I had along for both myself and the camera gear. The plan was to end the day at the Jaggar Museum on Crater Rim Drive. This location provides the best view of the Kilauea Caldera and the glow that rises from it after the sun sets. Actually, I contemplated ending the day completely and heading back to the hotel as my AM flight was a very early one. While the rain did not end, it did slow down and perhaps more important, the fog lifted. The glow became apparent - and I felt the calling. I put the camera and large lens in a large garbage bag (small hole stretched over the lens hood) and began photographing. I lost a lot of images to blur caused by the wind, but have a very solid collection of "keepers". It was very worth staying for this show. Note that I would rather have had my Wimberley Tripod Head for this shoot, but I couldn't keep my checked luggage under weight with this piece of kit included. The Arca-Swiss Z1 worked superbly as always. I just had to make sure that I had a good grip on the lens when the head was not locked. For this shot, I aligned the subject with late afternoon sunlight and a bright red jumping mat. The camera's mid-range 5 fps burst rate worked fine for capturing this composition. Turkeys are challenging subjects - they don't stop moving. This movement combined with a background that is not great in all of the directions the movement goes makes getting nice pictures challenging. For this shot, I moved in to completely remove the background from the frame. Let's talk about shooting action sports under the lights as doing such is fraught with challenges. The big problem is of course the lights themselves. They are seldom bright enough, usually light the field unevenly, typically lack a full light spectrum and often have a nasty flicker that times horribly with the frame rate of your DSLR. Unless you have the means to have ideal lighting installed, you need to deal with what you are given to work with. And for some reason unknown to me, most consider photography secondary to the sport being contested. I usually want a shutter speed of 1/1250 or faster to stop field sports action with a 400mm lens. Even with Canon's widest aperture 400mm lens mounted, the conditions on this field required ISO 12800 for the shutter speed I desired. This resulting image is not an amazing capture, but impressive for the conditions it was captured in. The Na Pali Coast of Kauai, Hawaii has one of the most spectacular landscapes you will find anywhere. It is also one of the most inaccessible places you will find. To get around the inaccessibility issue, I employed a helicopter charter. This shooting platform completely opens up the possibilities for landscape photography compositions. For this image, I used a circular polarizer filter. The result was deeply-saturated colors that "pop". Because the subject distance was great and the focal length wide, I could get away with a relatively-wide for grand landscape photography aperture of f/5.6. The 1/640 shutter speed is also unusual for normal landscape photography - the wind in the open-doors helicopter necessitated this. This was one of the longest, coldest winters that I can remember, and the leaves that have finally appeared, bringing color to the long-monochromatic landscape, have been calling me. While I have not avoided the typical spring landscape shots, I have been looking for creative ways to incorporate the beautiful light green color of the new leaf growth into my images. And then this guy showed up. Photographing black bears is usually very challenging. Finding these animals in light bright enough for photography is frequently the biggest challenge. Photography is about capturing light and black, especially in the form of fur, is the absence of light. So, once you find a black bear, properly exposing their light-absorbing black coat is the next challenge. If using an auto-exposure mode, the camera will need to be instructed to under-expose the image by a significant amount. That amount varies depending on the percentage of the frame the bear is consuming and the percentage of the frame you are using for auto-exposure. If the lighting is consistent (or not changing fast), a manual exposure setting is best. Either way, it is hard to completely avoid blocked shadows (pure black with no detail) – especially on the shadowed areas of the bear and especially if there are bright subjects in the frame (because they will become pure white). With a manual exposure locked in (the log is just under blown brightness before I reduce the final exposure of this image), I was free to concentrate on focus and framing. Composition and focusing are two additional bear photography challenges. These animals do not stay still for very long – unless they are staring at what they think is a danger (or perhaps is food) to them (me in this case). The closer the selected focus point is to the bear's eye in the desired framing, the less time you will spend adjusting the framing after establishing focus. This means that the bear is less likely to move before the shot is captured and more images can be captured in the potentially short period of time that the bear is posing. A turn of the head means a new focus distance is needed and then I usually want a different subject framing (to keep the animal looking into the frame) and this usually means a different AF point becomes ideal. Sometimes I use only the center AF point and sometimes I use a more-ideally-located AF point. While I would like to say that I had established this bear's patterns and was waiting for him for long periods of time, this encounter was more divinely-timed with me being able to very quickly capitalize on it. The 200-400 L performed incredibly well as always and the bear did also. The bear's position in the clearing with direct evening sunlight along with brightly-lit green spring leaves in the distant background could not have been better planned. This shot has become one of my favorite black bear pictures and I'm guessing that I will not find a better way to incorporate the spring leaves into a photo this season. Do you like flower photography? Talk to the manager of your local greenhouse. They typically have an overwhelming selection of subjects in beautiful lighting all day every day. The Sigma 105mm f/2.8 OS HSM Lens works great for shooting in these venues. For this shot, I used a wide open aperture and shot straight down on the flower. Greenhouses are nearly shadow-free. My big lens choice for my Colorado trip was the Canon EF 200-400mm f/4 L IS USM Lens with the built-in 1.4x extender. The decision to bring this lens was not a difficult one. I was going to be primarily shooting landscape with access to certain views limited to very long distances. I also planned to photograph wildlife in a range of sizes when the opportunity presented itself. For both situations, the zoom focal length range was more important that a (potentially) 1 stop wider aperture for this lens choice. I came across this large, fresh-out-of-the-wallow, bull elk trashing a thick clump of small trees with its antlers. After shooting this activity for about 20 minutes from a bad position (from-the-rear was the only angle available to me), I decided to move on. I didn't have much time in this park and still had a long distance to cover. I was back at the SUV with the lens and tripod torn down/compacted for transport in a Think Tank Photo Airport Accelerator backpack when I saw the bull finally leave the thicket (I think one of Murphy's Laws covers this situation). I rapidly re-deployed the setup and worked my way to the opposite edge of the clearing that the bull had entered. If I had a 400mm lens prime lens, I would have needed to move back into the woods, making a clear shot far more difficult. A 300mm prime lens would have framed the scene wider than I wanted. With the zoom, a quick adjustment to 350mm was all that was needed. My preference is to shoot wild animals at their level (a below-level vantage point also works well sometimes), so I setup the Gitzo GT3542LS Tripod in its fully retracted position. Getting a clean background was not going to happen, but I like the trees being present in this case. I did make sure that the bull's head was framed between trees. I adjusted my position to get a just-slightly-forward of a direct side perspective with the head framed between the trees. In this position, a large number of focus points land on the desired plane of sharp focus that includes the all-important eyes. When the bull bugled, I was ready. You can't tell in a reduced-size image, but even with a wide open f/4 aperture being used, this image is razor sharp even when viewed at 100%. This encounter with the large 7x7 bull elk was another confirmation that the 200-400 L is, in very many cases, the ultimate wildlife lens. Weeping cherry trees are incredibly beautiful when in full bloom. However, I don't find it easy to create a compelling image from this subject. By getting under the tree and shooting upward (and timing my shots with the light wind) from a close distance with a wide aperture, I had a take-home that worked for me. Runners complete the baton pass during the 4x400mm relay. Yellow petals spring from a ring of purple and dots of orange. Using a shallow depth of field effect makes the center of the flower pop from the frame. Soft lighting is courtesy of a greenhouse roof. This Eastern Cottontail Rabbit is seen where they typically are seen - in the grass. Animal photos are often best when taken at the animal's level - far down when the animals are small and on the ground like this one. I was sitting on the ground shooting handheld. This rabbit is angled slightly away - better would have been a slight angle toward me or simply aligned perpendicularly to my line of sight. I was slowly moving toward the better shooting position and taking the insurance shots I could get while on my way there. The rabbit bolted before I made it to the perfect shooting location. The eyes of course (usually) must be sharp for an animal portrait keeper. Dogwood trees, while blooming, are incredibly beautiful. As with many other flowering trees, getting good dogwood tree photos of them requires some creativity. For this shot, I was standing high on a step ladder looking down so that the flowers would be facing the camera. Using a wide open f/1.4 aperture with a close focus distance produced a nice increasingly blurred background layers even with this moderately wide angle 35mm lens. While I love black and white in interior and graphic design, I am about as interested in creating black and white images as I am in watching black and white movies. I view black and white photography as a last resort for not being able to find good color. If a scene does not lend itself to a color photo, I usually move on, looking for one that does. I need to emphasize the "I view" part of that sentence. I am only referencing my personal interest level in black and white photography. Everyone has their own photographic interests and if B&W photography is your thing, I say "Go for it!" If everyone was exactly like me, this would be a boring world. Photography has very few "laws" and my black and white aversion is not one of them. One exception I make to my no-monochromatic rule is when a found scene is monochromatic and winter landscapes often qualify as that. For example and as illustrated in this image, a blanket of snow over a hardwood forest under a cloudy sky is a common monochromatic winter scene. You are looking at a full color image and in this case, I'm into black and white. When shooting a monochromatic scene, there are two colors to work with. Thus, contrast, lines and focus take on an elevated importance in composition. With the entire scene in sharp focus, my eye is drawn directly to the area of strongest contrast which in this case is the cluster of front-most tree trunks. The balance of these trees aid in leading the viewer's eyes to this location or to the similar trunks diminishing in size in the background. Trees laden with snow pull the image toward the white side of black and white and capturing such requires a sense of urgency as often the snow does not remain on tree branches for long. A light wind clears the branches as does some direct sunlight warming the branches enough to cause the snow to become slippery, inducing its fall. Sometimes the best time to photograph a snowstorm is while it is happening and the falling snow also pulls the image even further toward white. Protection for your camera during the snow storm can be as simple as the umbrella used for this image capture. Summary: Use this winter to increase the depth of your black and white (or monochromatic) portfolio. The 400mm focal length will typically provide this finish line view from a full frame DSLR when standing just outside of the track fence. When runners are directly approaching the camera position, the stub-leg syndrome (fully bent leg appearing cut off at the knee) should be strongly avoided. Unfortunately, if the runner's leg pace matches the camera's frame rate (which can happen at the 5D III's 6 fps), you can have opposite legs stubbed in consecutive frames. No problem in this shot. The aperture was intended to be f/2.8 - f/3.2 was an accident. Just in case you were wondering. The historic Inner Harbor seaport is a showcase of the city of Baltimore, Maryland. While I was looking for interesting and creative photos in general on a day trip to this location, my ultimate goal for was to come away with a picture that captured the spirit of Inner Harbor in a single frame. Since I had only the latter part of the day to shoot, I was targeting sunset and the blue hour for that photo. My afternoon scouting showed that the west side of the harbor offered my favorite view, one that included the most photogenic landmark buildings including the National Aquarium and Baltimore's World Trade Center. From the selected vantage point, the Hard Rock Cafe and Phillips signs also stood out and all of the colorful lights reflected in the water. Not all waterfront is harbor, so the Lightship Chesapeake and the USS Torsk submarine docked in the background helped depict this waterfront properly as such. Of course, what finishes off the capture of the spirit of Baltimore's Inner Harbor better than a boat aptly named Inner Harbor Spirit docked in the foreground? After selecting the specific location I wanted for my key photo, I captured a variety of photos using various lenses and focal lengths (there was no getting closer happening here). The scene shown in this sample picture was my favorite and I have it captured at various times during sunset including some with nicely pink clouds in the sky. The image shown here was captured just before total darkness. At that time, a 30 second exposure allowed a smooth motion blur of the very calm harbor, an f/16 aperture caused the lights to show a starburst effect without imparting a too-severe amount of softening of the image (due to diffraction) and the combination of 30 seconds and f/16 allowed a deep blue sky color to be retained. 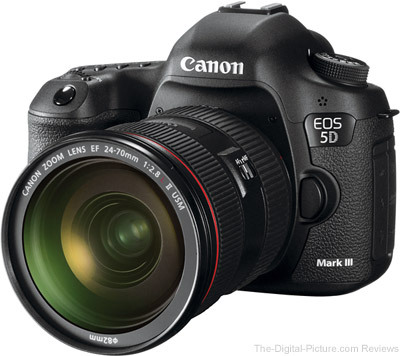 The Canon EF 24-105mm f/3.5-5.6 IS STM Lens is a nice lens and the Canon EOS 5D Mark III is of course an awesome camera. This photo is basically as-shot. Based on the Standard Picture Style (in DPP), I cloned out a few paint tiny imperfections on the ship and reduced the brightness of the Hard Rock Cafe sign, Phillips sign and the side of the aquarium using an HDR technique that utilized a darker exposure showing through the primary exposure at those positions in the frame. This perspective of the Na Pali Coast was brought to you via a helicopter. And the color of this picture was helped by the use of a circular polarizer filter. Rows of juxtaposed hurdles combined with a shallow depth of field camera setup creates nice patterns and colors. Great locations warrant revisiting. Seasons change, weather changes even faster. Clouds are rarely the same. And sometimes the scene itself changes. In this case, a log that has been in Cayuga falls, Ricketts Glen State Park, for what seems like forever is now gone. Apparently the extraordinarily harsh/cold/icy winter forced the log from its prominent long-time resting place. I had some pictures from this falls that included the log, and, while I thought they were nice, I like the sans-log pictures I now have even better. That I visited immediately after a very heavy rain gave me an additional benefit of a more than usual amount of water to work with along with some color in the water. The 15mm full frame angle of view is able to give the viewer a nice sense of presence in the scene, but being this close means that water drops splashing onto the lens becomes an issue. I was holding a microfiber cloth over the lens as much as possible when the shutter was closed and was using that cloth to wipe water drops from the CPOL filter between shots. Water drops on the filter are very noticeable in narrow-aperture 15mm images. This is an HDR image. I used a slightly darker exposure for the water, better retaining the highlight and detail in the water. A runner rounds the final corner in her leg of the 4x400m relay. My track position was selected for the angle of the sun and layout of the track - to have the curved lines running through the frame. As normal for action shots taken with a fixed focal length (prime) lens, some cropping was done to this image. It is better to frame slightly loosely than than to cut off an important part of the subject. I had been following this buck for two hours. I already had many in-the-woods pictures of it including some bedded images. But when it moved into the edge of a clearing with great lighting and a great background, I was especially thankful for the Canon EF 200-400mm f/4 L IS USM Lens I had mounted. This lens allowed me to quickly shooting a variety of subject framing with extremely good resulting image quality. Also note the use of a monopod. Handholding this lens for most of that two hour period of time would not have been practical for me. And a tripod would have taken too long to adjust to get this shot. Using a monopod gives me much enough stability for the somewhat fast shutter speed necessary to capture the constantly moving deer. And the 1/400 shutter speed was not always fast enough for the latter. I watched and photographed a lot of huge Banzai Pipeline waves on this afternoon in Oahu, but I especially liked what I saw as this one was setting up. Each of the three waves in the frame has a noticeably different color and only the backmost wave is breaking. A strong wind put a lot of the breaking wave's spray into the air. Of course, that strong wind made 700mm handheld framing a challenge. With the amazing Canon EF 200-400mm f/4L IS USM Lens getting a nearly-equally amazing $800.00 price reduction, I felt compelled to share an image captured with this lens. In the spring, black bears come out of hibernation and the cubs enter their new world, full of first-time experiences waiting to happen. This little cub may have never seen an iris before and though it was still nursing from its mom, must have thought the iris looked like candy. After pulling some unopened flower buds from their stems and carrying them around like toys, this little cub approached the big open flower. It proceeded with great effort to pull the flower off of the stem. Too cute. With a cub this young, you can count on the mother being close by. The zoom focal length range of this lens allowed me to frame the cub reasonably tightly at 560mm with the built-in 1.4x extender switched into the optical path (with some cropping) and then quickly zoom out to 270mm sans extender to vertically capture the momma bear standing upright with a cub between her legs. No single prime lens would have worked in this situation (unless the widest-needed focal length was selected with most images needing significant cropping). You will probably not spend the money needed to acquire this incredible lens to shoot pictures of a horse maine, but ... if you have the lens, opportunities such as this one cost you nothing additional. Hawaii has a wide variety of beach sand, but Black Sand Beach in Waianapanapa State Park had one of my favorites. The sand size varied from tiny grains up to round pebbles as shown in this photo. It was in this location that I proved that Gore-Tex trail running shoes hold water very well - and might not be the best footwear for photographing this subject. Because the pebble size I was photographing was still below the water line at times, I needed to move into place and get my shots before getting out of the way of the next incoming wave. Most of the time, this tactic worked. I rarely regret shooting landscape details along with the grand scenes. Having macro capabilities built into this lens is a real bonus. With a seven hour round trip drive included, fitting the PDN PhotoPlus Expo trip into 24 hours makes for a huge day. Increase the drive time to 10 hours (thanks to traffic), include a 1 hour wait at the show admission line due to a system outage (yes, I was preregistered), attend seven planned meetings plus a dinner meeting and I am left searching for a word that means much bigger than huge. Perhaps mammoth? Still, with the show floor closing at 5:00 PM and rest seeming so unproductive, I decided to plan a shoot between the show and the dinner meeting. This year, I headed over to Brooklyn Bridge Park near Pier 1 (in Brooklyn) to the pilings shown in this picture. I got onto the shoreline rocks beside the boat ramp and positioned the camera so that the opening between some of the pilings curved into the frame. I adjusted the focal length (with some mostly minor variety used) for a good size balance between the buildings and the pilings. An ultra-wide angle would emphasize the pilings while a standard or short telephoto lens would place more emphasis on the buildings. Another consideration is the levelness of the camera. With the camera vertically level, the buildings toward the sides of the frame remain vertically straight in this image. The Canon EF 16-35mm f/4 L IS USM Lens mounted to the Canon EOS 5D Mark III was the perfect choice for this scene. Perfect for both the angle of view/focal length range and for the impressive image quality it provides. I was in position in front of the piers as the sun set. While I have images captured during sunset that I like, including the sun against the horizon with the last sunlight of the day reflecting on the water, the city lights were not showing at this time of the day and the colors were not as attractive to me as the late blue hour example shown here. I also have some shorter exposures of this scene, but the choppy river did not attract my eye like the buttery-smooth blurred alternatives. I used neutral density filters and adjusted the aperture slightly (between f/8 and f/11) to keep my exposure times at or near 30 seconds as sunset turned into blue hour and then into dark. I started with a 6-stop ND, moved to a 2-stop ND and removed that filter as darkness came. While this may seem like a long time to shoot a single scene, this was the shot I wanted and I wanted a variety of options to choose from. I was shooting 3 bracketed frames (this is an HDR image) with the longest exposure at or near 30 seconds in duration and I had long exposure noise reduction enabled, meaning that dark frames were captured for an equally long period of time. This means that I was spending several minutes for each potential final image. With exposures that long, one cannot predict the large boats and other detractants that will possibly influence an image and I threw away some frames for this reason. In the end, I had a nice amount of images, but not a crazy number. Likely, only a few of the images from this shoot will see the light of day. But, I really like those few images and consider the time and effort well spent. I can cross "Pilings at Brooklyn Bridge Park" off of my location bucket list. The day started at 5:00 AM and ended at 2:45 AM the next morning. The overall results from the day, including the meetings and the show, were totally worth the effort. A telephoto zoom lens is usually part of my active kit when shooting landscapes. These focal lengths work great for compressed landscapes - they keep mountains large in the frame. Here I was spending a lot of time looking into the viewfinder watching for perfect wave impact against the Na Pali Coast in Kauai, HI. Sunset provided the color in the sky/haze. The Canon EF 600mm f/4 L IS II USM Lens has the great capability of making the background into a smooth blur of color. The smooth blur of color in this example is a pasture being lit by a nearly-set sun. The rusty barbed wire and old post are placed into the frame using the rule of thirds. I can't say that I was thinking about the rule of thirds when I took this picture, but that is apparently what worked for my eye in the viewfinder. The secluded beach at Polihale State Park in Kauai, Hawaii is one of my favorites. This location is great for photographing the sand and cliffs in the warm light of the setting sun. While the sand on a beach may all appear the same, you can often find something different to work into your composition. Here, I found little channels created by erosion. The channels were straight, but by shooting the contour from a close angle, they become oft-desired curves in my composition. The curves separate this photo from many others I didn't find very interesting. This location also has full view of the setting sun, but I needed more time to explore the area to find a foreground other than the basic (though still beautiful) sun-into-water composition. Haleakala National Park in Maui, Hawaii holds many months worth of photographic compositions. Actually, with the speed that the clouds change at this 10,000' altitude, perhaps there are a lifetime worth of photos awaiting to be captured here. While this is a popular sunrise location, the quality late afternoon light is great for photography purposes. While I captured many variations of this scene, I like the lack of intersecting lines in the top and bottom of the frame of this image. You can't miss this beautiful grove of Rainbow Eucalyptus Trees on the road to Hana in Maui, Hawaii. Getting good light on these trees was much more challenging during my time there - during the winter rainy season. Keeping other people out of the image was also a challenge. A B+W circular polarizer filter was used to get better-saturated colors. The history memorialized at Pearl Harbor in Oahu, Hawaii is deep. And the memorial over the sunken USS Arizona is beautiful with a polarized sky behind it. Shawnee Falls in Ricketts Glen State Park is beautiful at any time of the year, but fall is my favorite time to visit these falls. A sure-thing compsition for these falls is to shoot wide and move in close to the layered rocks while using a circular polarizing filter. Since I was shooting very late on a very cloudy day, the auto white balance out of the camera was a bit cool. By setting a custom white balance based on a near-white area of the water, a much warmer color tone is easily achieved. See the mosquito on this black bear cub's ear? The black bear is at the top of the food chain in Pennsylvania, but that does not mean they don't get bit. Getting bit is certainly going to be on the back of everyone's mind when photographing a bear cub this small as the highly protective mother is guaranteed to be nearby. A mother bear nearby makes the zoom capabilities of the Canon EF 200-400 f/5.6 L IS Lens highly desirable. To capture this picture of a tiny cub required use of the built-in extender for 560mm of focal length (plus a small amount of cropping). To capture a full body portrait of the much larger mother (with or without cubs in the frame) required a wider focal length. Bears are very unpredictable and may not have tolerated (or stayed long enough for) a lens change. The 200-400 L lets me work fast, capturing the ideal framing potential from the situation. Dutchman Falls are actually located outside of, but not far from, Worlds End State Park. From a parking lot just off of route 220 north of Laporte, the falls are a short hike down a moderately steep trail near the Loyalsock Creek. The falls shown in this picture are not as large as the main Dutchman Falls found just below. But, I liked the layer of rock going through the frame at about 1/3 from the top. And the leaves on the ground added life to the composition. And the falls are beautiful. A circular polarizer filter was used for this capture. A large gobbler struts to impress the ladies. A picture does not do justice to the show these birds put on - complete with thumping sounds. Having a special access pass will give you the opportunity for perspectives not otherwise possible to capture. With the subject high on a stage, a floor level perspectve is not uncomfortable to get. And, since this was the only perspective available at this time, it was fortunately a good one. As always, aligning the subject with a good background is very important. A very unhappy black rat snake gets a taste of its surroundings in this picture. Believe it or not, my 13-year-old daughter carried this snake home (she found it in the woods nearby). While the grass in the front yard does not make a good background for snake pictures, I was able to blur the grass into a very pleasing green color by getting down to a ground level shooting position, moving in close and aligning with a brightly lit area behind the snake. This image represents the near maximum magnification of the Canon 200-400 L lens. I say near because the snake was constantly moving and I had to leave insurance distance to accomodate for its motion. Two sharp lines of contrast run through this image - balancing each other. One line is from the bright white surf and the other is the line where the mountains meet the sky. Why am I posting a fall foliage photo for a summer photography tip? Good question – Let me explain. Anticipation is one of life's greatest feelings. Strive to create anticipation for your clients and also in your own life. One of my favorite anticipations is for a photo trip and, while many lament the end of summer approaching, my favorite time of the year to photograph is when the leaves change color. This time of the year is primarily in the fall season, but ... the leaves in some of the most-scenic areas are reaching peak color just as the summer season comes to an end. Many landscape photographers share my affinity for fall and photographers with interests other than landscape photography can also benefit from the brilliant colors. For example, portrait, sports, car and many other photographers can find the colorful fall backgrounds advantageous. If it is summer and your fall trip(s) is(are) not planned, don't wait any longer. If colorful leaves are the desired subject, a location experiencing that color during your time there is important. While that timing can change from year-to-year, influenced by water and temperature, trip planning should use historical averages for decision making. There are many fall foliage maps available to help with destination and date planning. My last fall foliage photography trip was to Colorado, including the San Juan Mountains, a location sure to be found on all USA fall foliage maps. For this image, I used a telephoto lens to bring the snow-capped mountains in close, making them appear large in the frame. A break in the heavy cloud cover provided beautiful lighting and the low-hanging cloud added the extra element I am always searching for. While your fall foliage photo trip may be best planned even earlier than summer, if summer is here, wait no longer. My big fall trip is planned, but ... I'll let the destination be a small anticipation for you. While this looks like a simple picture to take, horses off-reign and in a pasture do not often stand still. The composition is indeed simple - which is what I was looking for. Aspen trees do not all change color at the same time in the fall. This can be good or bad news. Good is that there is some flexibility in the timing of fall photo trips to aspen areas. Potentially bad is that there will likely be green or bare aspen trees in your targeted area. In addition to leaf color, sky cover is a concern for aspen tree photography. While blue skies are beautiful, I much prefer to have photogenic clouds decorating a blue sky (with abundant amounts of sunshine coming through). My reasoning for this preference is probably obvious for images that include those clouds and the sky. But, clouds cast shadows and shadows can greatly contribute to imagery. On the return hike from Crater Lake on this day, clouds blocked the sun just enough to shade Sievers Mountain while the foreground aspen trees glowed brightly in the sunlight. In the mid-ground was a patch of aspens with only their top-most leaves remaining (these are the last to fall). Also in the sun, these leaves appear as a flame over the trees. While it is not in the limelight, Sievers Mountain, full of character and framed in blue sky with white clouds further separating the sharpest peaks, makes this shot for me. While a telephoto lens may not have been your first choice for a hike primarily focused on landscape photography, telephoto focal lengths are an integral part of my landscape kit. I often find composing landscape images with a telephoto zoom lens to be easier than a wide angle lens. The next time you head out to photograph the great outdoors, especially in big mountain areas, make sure that a telephoto zoom lens is in your bag. Seeing a mother black bear with 4 cubs is a rare opportunity. To get a photo opportunity of the same is even rarer, and to get a decent photo of the same is ... priceless. The cubs were very fun to watch. They were in non-stop motion, running around, climbing on things (including mom) and playing with each other (rolling over each other). This activity level meant that things happened fast. Getting all four cubs in a single frame was very challenging (an image with less-than-four cubs would be far less remarkable) and a decent composition of the same was nearly impossible. Having the 200-560mm (with built-in extender) zoom focal length range was extremely helpful in this situation. In this specific scenario (my only 4-cub image worth posting from this encounter), I decided to center the primary subject – the apparently-not-happy momma bear. I generally like to compose animals (and people) with more space on one side frame – so that they are looking into the frame. But, the large bear was positioned straight forward and looking (more like glaring) in the same direction with cubs on either side adding balance. I moved the camera just slightly to the right of perfectly centering the large bear to give the cub on the right a little more room to look into the frame because it was a "stand"-out. Selecting the ideal aperture was another challenge for this encounter. At f/4, I needed and an ISO setting of 800 to get a barely-adequate-for-the-activity 1/320 shutter speed. At 300mm, at this distance, the under-1' (.3m) depth of field provided by f/4 does not keep more than the primary bear's eyes in focus. Using a narrower aperture of course provides more depth of field, but it also requires raising the ISO setting. Raising the ISO to 1600 would have been acceptable to me, but ... I didn't want to go to ISO 3200 and the resulting f/8 aperture would have provided a still-not-nearly-deep-enough DOF of about 1.5' (.5m). Yes, the cubs would be less out of focus with the narrower apertures, but the background would also be more-focused, creating less separation from the big bear. As is often the case, there were multiple setting combinations that would have worked for this example and a compromise was required. I'd probably make the same decision the next time. Choosing between an image stabilized f/4 lens and a non-IS f/2.8 lens can be challenging. If you are shooting action in low light, the best choice is usually going to be the f/2.8 lens. An f/2.8 aperture lets twice as much light reach the sensor, allowing for a faster aperture and/or lower ISO setting to be used. I love mountains, but not all mountains are created equally. Height is great, but a flat or round-top mountain, even if extremely high, is difficult to make photogenic. Give me a craggy, jagged-topped mountain with character and I can entertain myself for days. Add some color for an over-the-top mountain. The Maroon Bells Scenic Area has mountains with character and Sievers Mountain, just north of Maroon Lake, is one of my favorites. Along with having character in its shape, this mountain has color character including the namesake "Maroon" with bands of light-colored rock running through it. While the top of this mountain alone can make a good photo, I worked a set of colorful aspens into the foreground so that the tops of the trees somewhat matched the craggy-ness of the mountaintop and added strong contrasting color. With some room to significantly change my shooting position, I adjusted the perspective so that the amount of trees showing in the frame was balanced relative to the amount of mountain showing. Said another way, the closer I approached the trees, the higher the percentage of the frame consumed by those trees and the larger the trees would appear relative to the mountain. With the perspective I wanted, I then made use of a zoom lens to retain only what I wanted in the frame. In this case, that meant zooming to 57mm. With a partly cloudy sky, good timing (note that the odds of good timing are greatly increased by patiently waiting) was required to get a dark foreground base, bright trees, shade on the mountain directly behind the tree tops and some direct sunlight on the mountain above. Blue skies are beautiful, but I often prefer that they remain a small part of my landscape images. In this case, the blue adds another color to the image and forms a solid, uninterrupted top margin to this scene that keeps the viewer's eye from leaving via the top of the frame. I made strong use of the Canon EF 24-70mm f/2.8L II USM Lens on this trip. Nearly every shot I captured with this lens was tack sharp. It is an awesome choice for tripod-mounted landscape photography. Something that all landscape photographers need to know is that the worst weather can bring the best photo conditions. For example, without rain, there are no rainbows. I would like to say that I had spent all day climbing to the top of some remote mountain to capture this image, but ... in this case, I was simply driving from a gas station back to the hotel. When the clouds on the western horizon broke open just enough for the sun to shine under the heavy cloud cover and into the rain, I simply pulled off the road at a safe location and started shooting. In this photo, the very warm-colored last sunlight of the day is illuminating the rain along with an aspen grove at the top of a mountain near the town of Aspen, CO.
From a compositional perspective, I would like to have moved the bright aspen grove and mountain peak to the right (or left) to about 1/3 of the way into the frame. To do that would have required me to drive to a new location. Rainbows and the sun shining through small openings in clouds are both fleeting opportunities and I was not going to chance missing the opportunity. The leftmost rainbow was easily the most eye-catching subject, so I placed it in the 1/3 (maybe 1/4) frame position. The strong, bright rain easily balances the bright rainbow and the small, faint rainbow remains in the frame on the right. The dark land in the base of the frame works with the dark cloud at the top of the frame to bring the viewer's eye inward. The near-centered mountaintop then works for me in this case. Without being able to significantly change perspective at this very long subject distance, a telephoto zoom lens allows flexibility in final subject framing. I love unplanned images such as this one. The only requirement (beyond knowing how to use your gear) is being there. So, be there! This Shenandoah NP buck was feeding in a small clearing in the oak forest. One of my favorite wildlife photo subject orientations is directly side-on with the head facing forward, or even better, slightly toward the camera. This particular deer has a slight u-shaped stance that I like. I also like that the legs are somewhat evenly spaced, adding a natural pattern to the shot. That three of the frame borders are clear of heavy contrasting lines is yet another bonus. I often prefer to shoot level with the animal, but in this case, I had a better background when shooting at a slight downward angle. A very early AM alarm followed by a long drive landed me at Canyon Vista, Worlds End State Park before daylight. I was rewarded with dense fog in the valley with only mountain tops showing. I have lots of pictures from this morning (especially as the fog started to burn off), but one of my favorites is shown here. Only the tops of the mountains colored by fall show through the clouds. The bottom of the clouds are still in the shade of the mountain I was shooting from. The memory of being tired went away much faster than the memory of the experience. And the photos will keep that memory going long into the future. This old Maple tree turned red long before its counterparts. I liked the immense trunk with its various lines and, of course, the brilliant red leaves. I used a perspective that would frame the red leaves in green. A wind-less day was necessary to capture sharp leaves with a .8 second exposure. Spring is when most baby animals make their entry into the world and who doesn't love a baby animal photo? Baby animals are the definition of cute. Create your spring baby animal photography plan now (regardless of the season you happen to be reading this tip in). Determine what your baby animal subject(s) is(are) going to be, determine where they are located and plan on being at the right location to photograph them when they are introduced to the world. This year, my animal of choice was the white-tailed deer. Newborn whitetail fawns are about the cutest animal on the face of this planet. They are also full of energy and very playful, making them very fun to watch. My selected location for white-tailed deer fawn photography was Big Meadows in Shenandoah National Park. Whitetail fawns are born in late May and Early June, and I made it a priority to be there in that time-frame. Watching the weather forecast about a week out, I booked a lodge room for one night. I know, that date was too far away for anyone to accurately predict the weather, but I needed a bit of planning time. The weather forecast was for "cloudy" and that meant I would have decent light all day long and wouldn't need to concern myself with harsh shadows even in the woods. A couple of days later, the forecast changed to sunny and another day later the National Weather Service began calling for about 80% chance of rain for both of the days I would be there. I prepared for rain (rain gear for both me and the camera equipment along with a large umbrella). What I didn't plan for was heavy fog the entire two days and I really didn't expect it to rain most of the time I was there, but that was reality. While I sighted many deer, those with fawns were not interested in being in view of photographers (even when approached in a vehicle). The fog drastically reduced contrast and cut realistic photo distances down to 30' (10m) at times, so approaching was necessary. After a long day, what I really felt like doing was hitting bed early the first night, but I continued the effort. That perseverance was rewarded when watching a doe in front of some bright ferns at the edge of the woods. The ferns made an interesting background and as I was photographing her, she was bleating. Deer bleat to communicate, so I knew that there was another deer or a fawn nearby. With no warning, the cutest little fawn came bouncing out of the woods and began nursing. The adorable fawn drank with fervor and I shot similarly, capturing nearly 200 images in the about-8 minute long encounter. While the fawn drank, the mother cleaned it and when the fawn finished drinking, it peered out from under the mother, providing additional poses including this one (I also like this image cropped tighter, emphasizing the fawn and removing the bright ferns). Then both went back into the woods and darkness came over the scene soon after. While my trip overall was not one of my more productive efforts, but 8 minutes with one of the world's cutest animals produced a series of images that made the effort worthwhile. On this trip with ultimate image quality being my goal, the Canon EF 100-400mm f/4.5-5.6L IS II and Canon EF 200-400mm f/4L IS (used for this image) were my wildlife lenses of choice with a Canon EOS 5D Mark III mounted behind them. When hiking longer distances, I carried the 100-400 L II and also used it from the car at times when the light was strong enough. The 200-400 L was my choice when the light waned and often used it on a monopod when not moving too far from the car. Both lenses and the camera performed amazingly. Determine which baby animal you want to photography this or next spring and create your plan to photograph it! A pair of meteorites, AKA shooting stars, streak through the northern Maine sky during the annual Perseid Meteor Shower. If you want to cover a lot of sky, a 15mm fisheye lens on a full frame camera body is a great choice. Not as great of a choice is the max f/4 aperture the Canon EF 8-15mm f/4 L USM Fisheye Zoom Lens has. I used ISO 3200 for a 30 second exposure and still added some brightness during post processing. Still, I like the results and have no regrets from using this sharp lens for this task. Leveling a lens in the dark is tough. Leveling a fisheye lens is difficult even in daylight. The Canon EOS 5D Mark III's electronic level rocks in this situation. A Black Duck duckling dabbles in the water, causing small waves to radiate from it. While I would have preferred a closer to water level shooting position, such was not available at this time. But, the higher shooting position better-captured the circular ripples and their reflections. Following Sean's recent winter photography tip suggestion, I took the Canon 11-24mm f/4L Lens to New York City for a late-winter day. New York City is one of the most photogenic cities on the planet and it remains similarly so at all times of the year. Advantages of shooting architecture and cities when it is uncomfortably cold out include fewer people to interfere with your compositions, fewer photographers competing for the same shooting locations and easier isolation of composition-enhancing people while doing street photography. New York City is extremely large and I doubt that anyone will ever exhaust all of the photo possibilities of this location. For sure I will not. This means that pre-trip scouting is especially important. Using available online resources to visualize the location's available compositions maximizes one's photo time. These resources include maps, satellite imagery, The Photographer's Ephemeris, reviewing photos others captured at the potential location, etc. Part of this scouting involves determining the direction of sunrise or sunset as this effects the look of the image at a key time of the day for cityscape photography. The sun rising or setting to the side of an image will be the most challenging with the sky taking on a brightness gradient from one side of the image to the other. If the sun is rising or setting behind you, buildings will reflect the brighter sky and the background sky will be darker in relation to the buildings. The sky may also become pink above the horizon in this situation. If the sun is rising or setting in front of you, the sky will be brighter in relation to the buildings, but the building lights will become more pronounced. Both latter options are great. My choice in this example was the in-front-of-me sunset. Arriving at the location early to verify the choice made during pre-trip scouting is highly recommended. You never know what you might find upon arrival (such as a large construction project), so arrive early enough to implement plan B if necessary. Yes, having at least a plan B and, better yet, a plan C and D is a very good idea. Arriving early also provides the best opportunity to score the perfect shooting location. On this particular cold evening, there was no competition for shooting location and to completely avoid the chance of people walking into my composition (and to avoid an ugly sign and construction fencing), I setup so that no foreground was visible in the frame. To do so at the focal length I wanted to use (24mm – the longest available on the lens I was evaluating) required extending my tripod down through the curved East River fencing. City lights do not come on (or become visible) until it gets somewhat dark and these lights are a key to one of my favorite cityscape looks. The lights add life to the buildings and while cityscapes can be captured in complete darkness, I find that some color remaining in the sky makes a better image. The "Blue Hour", by definition, lasts for 1 hour just before sunrise and just after sunset (use your online tool or phone app to find out when it happens at your shooting location on your chosen shooting day). However, the perfect shooting time, when the sky color balances with the city lights (and possibly reflections), lasts for closer to 15 minutes within that hour. I'll dub this time period the "Perfect 15" and I can usually narrow my ultimate preference down to a subset of that duration. While the Perfect 15 are ideal for capturing a variety of image types, cityscapes are an especially great use of this short period of time. At this time of the day, each f/11 image requires 30 seconds of exposure (roughly) followed by 30 seconds of long exposure noise reduction dark frame capture. Add a few seconds for mirror lockup and multiply each shot by two or three for exposure bracketing (if warranted for HDR) and those Perfect 15 minutes begin to look very short. Want to make a great scene even better? Reflect it in water to double the greatness. Many major cities exist because of the water located by them, and cityscapes often look best when reflected in water. However, these waterways are typically large enough and have enough wind and boat traffic on them to never permit a mirror-smooth reflection. Reflections in rough water can look OK (though somewhat distracting), but making a smooth blur of the water via a long exposure is usually my preference. The Perfect 15 happens at the right time of day for long water-blurring exposures, but the boat traffic presents a problem. Even during a 30 second exposure, the waves created by a large boat are going to create possibly-undesirable lines in the final image. Also, at this time of the day, boats are required to have lights on and those lights show very clearly as long streaks in the image. Sometimes these light streaks can be removed in post processing (try the content-aware healing brush in Photoshop), but lights on the larger boats (such as ferries) streak across the city details, becoming much more difficult to remove. When this happens, an available option is to simply leave the light streaks remaining in the final image, adding an effect. Most of the time, I find this effect undesirable. Correcting the uneven reflections caused by 30-second wave blurs is usually very challenging. So, in addition to the over-1-minute exposure captures along with similar durations for exposure bracketed shots (for potential HDR use), a boat moving through an image can cut the remaining available time drastically. A tug boat pushing a barge through the Brooklyn Bridge and Manhattan Skyline scene takes a couple of minutes and the waves don't settle for a period of time after that. The East River Ferry is much faster, but it also makes significant waves. Boat traffic alone took a major chunk out of my Perfect 15 on this day. If your city's waterway is tidal-influenced and water-level subjects, especially in the foreground (such as pilings), are in your frame, make sure that your capture date is ideally timed with the tide. Use the tide charts available for your location to determine this. If it were raining, snowing or foggy, I would not likely have been able to see the city I was photographing, so yes, the weather matters. Aside from being able to see the primary subjects, what the weather is providing becomes decreasingly important for cityscape photography at these times of the day. If you want the sunset to add a significant interest to the sky, there needs to be some clouds to catch color and an opening in the sky allowing the sun to illuminate those clouds. Since I wanted the city itself to be the primary interest in my image and because I wanted a high-percentage weather forecast, I chose a perfectly clear day for this trip. A clear sky provides a great blue color over the city and reflects in the water below it. Cities are usually bright enough to overwhelm the visibility of most stars, but if you happen to be able to see the stars in your images, 30 seconds is probably going to give you some star trails. What to do with the handful of visible stars and their short trails is a matter of taste, but they appeared to be an anomaly in this image. There were not enough stars showing to make them appear as part of the scene, so I removed them. Along with waterways, large cities usually have busy airports and air traffic very frequently becomes part of these images. The flashing lights from this aircraft generally create long dotted lines through a cityscape captured during 30 the seconds exposures typically in use during the Perfect 15. Again, the choice of what to do about these inevitable additions to the image is up to you. Fortunately, most of the aircraft are flying above the city and can be easily removed in Photoshop. The waterways commonly found by large cities frequently have bridges over them. These bridges are often landmarks that you will want to incorporate into your images and these bridges commonly have many lights on them. The Brooklyn Bridge is one such bridge. After a severe winter, numerous light bulbs were in need of replacement. I'm sure that there had been very few maintenance crew members volunteering to scale the bridge under the severe temperatures (along with plenty of snow and ice) NYC had for many months prior, but I felt the missing lights negatively impacted the image and took the liberty of replacing the bulbs myself (in post of course). Note that, while often the highest location in a city, bridges would seem to be great vantage points for cityscape photography during the Perfect 15. Unfortunately, for bridges with traffic on them, this is not the case. The amount of movement on most bridges with vehicular traffic is incredible (especially the large suspension bridges) and long exposure images captured from such bridges are typically very blurry. While reviewing the Canon EF 11-24mm f/4L USM Lens, I wanted to put some on-location hours behind this lens and decided that Brooklyn Bridge Park, just across the East River from downtown Manhattan, would be a good destination. I arrived early in the afternoon, spent an hour or so selecting what I thought was the ideal composition for capture during the Perfect 15 and then explored the area for other photographic opportunities. About 45 minutes before sunset, I came back and anchored myself into the selected shooting location. I setup the camera, perfected the framing using a completely level camera (keeping the buildings vertically straight) and then established the proper focus distance setting. While I have yet to take a miss-autofocused image with this lens, I wanted no chance of that happening when the scene became dark. I used autofocus to get the initial setting, switched to manual focus mode and took a verification image. While my selected image was captured 41 minutes after sunset, I captured images periodically before entering the Perfect 15. Some of these images are very nice and I'm glad to have them. More importantly, these images allowed me to monitor the exposure settings and how they were changing. There was no question about what settings I should be using when the ideal shooting time came. While I did some bracketing and captured many exposures before, through and after the Perfect 15, everything came together in one image this time. The boat traffic stopped long enough for the waves to even out. The brightness in the sky leveled with the brightness of the city lights and the brightness of the reflection seems just right to me. Aside from some of the tweaks I mentioned already (such as replacing burned out light bulbs), this image is basically right out of the camera. I shoot with the Neutral Picture Style selected in-camera to get a lower contrast histogram to best show the camera's available dynamic range and how I'm making use of it. Because this style's low contrast is not typically what I'm processing for, my usual first post processing step is to select Standard Picture Style. I added some saturation and turned the sharpness setting down to "1". Even with a very low "1" sharpness setting, all details in this image are tack sharp. Awesome lens. A majority of photographers and other observers pack it in when the sun dips below the horizon, but the show is just getting started at sunset. Stick around. If the sun is visible in the sky, unfortunately, the best AM photo time may be in the past. This is the time to make plans for tomorrow. Try shooting during the blue hour and learn what your "Perfect 15" is. Sometimes, taking your wife to the roses is better than taking the roses to your wife. Remember that. I employed the "Rule of Thirds" for this composition (in a not-too-strict fashion). I allowed the green color to run through the frame about 1/3 of the way down from the top and centered the rose bush at about 1/3 of the way from the right. A clean top and bottom edge of the frame are often welcomed. Rock concert lighting combined with smoke provides constantly changing colors. These colors are of course welcomed by photographers. I was obviously capturing the high-above-the-crowd DJ in this image. I liked the particular colors and their balance in this frame. To get this shot, I hauled a large tree stump into my studio. With the ability to use my full studio lighting and with a natural surface for the moth, I had an easy combination for good photos. The shallow depth of field at such a close focusing distance means that moth and butterfly photos often work best with the wings aligning with the camera's sensor plane. I have to confess. I'm a fall leaf color addict. If the leaves have changed to their fall colors, I'm struggling to resist being outdoors 100% of the daylight hours with a camera in my hands. Fortunately, I don't have to go far from home to find some of the best color available anywhere. Even with colorful trees being easy to find, photographing the fall color can be very challenging and one of those challenges is to create a compelling composition. Many of the most-brilliantly colored local trees, primarily old maples, are found in town, where houses and other buildings, power lines, signs, etc. interfere with the natural look I'm typically seeking. A picture of a complete tree may capture the color, but the likelihood of something undesirable being in the frame is quite high. Even in the countryside, the ideal trees can be difficult to work into great compositions for a variety of reasons including a lack of supporting elements. One fall foliage technique I like to use is isolation of the colorful leaves of one tree with other parts of the same tree or another tree filling the rest of the frame. Find an attractive leaf or set of leaves that are in good condition and then determine what could be a good background for the composition. Determine the focal length of your lens based on how large the foreground leaves should be in relation to the selected background. The focal length decision will also be affected by how large the selected background is and the space you have to work in with a longer focal length requiring less background area needed. The longer the focal length selected, the easier it will be to make the background blurred and of course, the vice versa is also true. Determine the aperture used based on how much depth of field is desired with a very wide aperture capable of putting the background into a primary-subject-isolating blur. Also note that a wider aperture makes a faster shutter speed easier to obtain (at a lower ISO setting) and a faster shutter speed may be necessary to stop any wind-imparted motion of the primary subject leaf or leaves. Don't stop with your first setup. Continue to refine the shot until you have it perfected. Then find another composition to work on. The brilliantly colored maple tree in this picture was on the corner of an in-town street intersection with power lines and houses directly behind it. I moved in close to the foreground leaves and aligned the angle of view with the lines created by the trunks and limbs. The backlit leaves on the other side of the tree and some green grass across the street complete the composition. The result is a brilliantly colored fall photo that is, at least somewhat, unique. While photo trips to grand landscapes with brilliantly colored trees are awesome, knowing the isolation technique can land great fall foliage images much closer to home (for many of us) and in many more locations (for all of us). My kids are amazing. Yes, I am of course heavily biased, but I sincerely hope that you feel the same way about your own kids. Many of you comment about having watched my kids grow from tiny to what they are today, so I thought I would share a current group photo of them. Having the three girls together while they are dressed up and not having to run out the door because they are late for wherever they need to go has become a rare situation, so I jumped on this one. Setup for this 5 minute portrait session involved grabbing a Canon EF 100-400mm f/4.5-5.6L IS II USM Lens mounted to a Canon EOS 5D Mark III and positioning the girls just behind direct light streaming in a wall of windows. There is not a bad portrait focal length in this lens and the 100mm end gave me an ideal angle of view for this tight group photo even in tight quarters. I avoided background distractions the best I could while including enough to give the photo a homey feel. My kids are growing up and so are yours. Growing up is of course what is supposed to happen to kids, but ... the growing up happens too fast – in a flash it seems from hindsight. So, I'll leave you with a parenting tip: You cannot take too many pictures of your kids (and grandkids I'm sure). Load them on a digital picture frame or computer in your home's living area to regularly relive those great times of life. "Jane's Carousel made by Philadelphia Toboggan Co in 1922"
Jane's Carousel is a very popular location and, while not a necessity, keeping people out of your frame is challenging (an understatement). To start, visiting on a cold winter weekday will reduce the visitor population. Next, taking enough frames to allow all parts of the scene to be captured without people or their shadows in them is key. Fortunately, I had two images that when combined, showed no humans outside of the building. In post, I combined these two exposures to show only the sans-people parts. At 11mm, it is hard to keep your own shadow out of the frame. By using the self-timer, I was able to step back before the shutter released. The camera's own shadow was the remaining problem. With a clean foreground, I was able to remove the shadow in post processing without difficulty. When presented with clear blue skies, I often avoid having significant sky coverage in my frame. But sometimes, blue is beautiful. With a bright, evenly-colored background, the top of the mountains being hit by the morning sunlight creates a strong, eye-catching line. The strong contrast of the mountain shadow creates a second strong line. Take a great scene and reflect it to get symmetry with the result often being greater than twice as good as the image without a reflection. The choice of focal length is always very important for composing an image. In this case, the twin peaks of the Maroon Bells were of primary interest to me. A focal length that makes these peaks large in the frame will best emphasize their over 14,000' size. I captured many frames using longer focal lengths, but I also liked seeing the bigger picture. With a mirror-calm water surface large enough to reflect the entire scene, I took advantage of the wider angle focal lengths available in the Canon EF 16-35mm f/4L IS USM Lens on this morning. When not to use a circular polarizer filter: at sunrise or sunset, with a wide angle focal length being used and large amounts of blue sky in the frame, it is unlikely that I have a CPL filter mounted on my lens. A CPL filter used with a low sun angle and lots of evenly-toned blue sky in the frame is a perfect recipe for very uneven darkening of the sky, a look that is generally not appreciated. This is a complicated HDR image based on three differently-exposed source images. Removed from this image was a line of other like-minded photographers. What are the Perfect Zeiss Otus 85mm Lens Subjects? The perfect Zeiss Otus 85mm Lens subjects are people. An 85mm focal length results in a working distance that provides a portrait perspective similar to what you would commonly see when talking to someone with facial features not being distorted or overly-compressed. The f/1.4 aperture permits a shallow depth of field that removes background distractions. The incredible image quality this lens provides is the icing on the cake. I'll contend that people are also the most valuable subjects available, both in terms of the value of those people and the returns available for photographing this subject. Finding paid gigs involving people is much easier than finding paid landscape, wildlife and other non-human subjects. Paid shoots are of course helpful in justifying the cost of this lens. Making portrait subject happy leads to great job satisfaction. I still had a 4.5 hour drive home after this sunset settled down at 8:30 this evening. But the late night was so worth it. It would have been hard to design a better end of day show. Note that the sun had set about 15 minutes prior to this photo, taken at the peak of sky color. Don't pack up until the sky goes dark as you might miss the best part of the show. As far as I know, this falls remains un-named. So, I dug deep into my creativity and named it Upper Dutchman Falls, since it is located just above Dutchman Falls. Upper Dutchman Falls is not nearly as high as the bigger falls just below it, but I find it to be at least as asthetically pleasing. With an ultra-wide angle focal length, move in close to make the falls appear large relative to the more distant objects in the frame. One of the rewards of a 2,500' climb to the top of Old Rag Mountain in Shenandoah National Park is this huge balanced granite rock. Because this mountain is so high above/far away from the surroundings, and because the low-contrast distant details become lost in haze, the best mountaintop subjects were those close to me. And the sky. But the sky was clear (pretty but not so picturesque) on this day, so I primarily focused on the close objects – primarily rocks. Few lenses have grown so important to me in such a short amount of time as the Canon EF 100-400mm f/4.5-5.6L IS II USM Lens. Wildlife has been my first-choice use for this lens, but landscape photography is a very close second on the list (sports will compete with these other two uses as soon as the snow melts and more athletes go outside). I love the great outdoors and landscape photography ties in very well with that love. Landscape photos allow me to take my favorite scenes with me and many hang in my house and studio. Many of these prints are very large (up to 40x60") and I'm always looking for the ultimate image quality. While I'm often using wide angle lenses to capture landscapes, I love using telephoto lenses nearly as much. Narrow angles of view are easy to compose with and, even mediocre sunrises and sunsets can fill the frame with color. The 100-400 L II provides a great focal length range and very impressive image quality, making it the perfect choice for landscape uses. The historic Bahia Honda Rail Bridge (the bridge story) spans the channel between Bahia Honda State Park (Bahia Honda Key, mile marker 37 U.S. 1, the Overseas Highway) and Spanish Harbor Key (Florida). After the new highway was constructed, sections of the old bridge were cut away to accommodate boat traffic. The remaining portion of the steel truss construction bridge provides a great silhouette for sunset photos captured at the western end of the state park and the missing portion of the bridge definitely adds a uniqueness to the images captured here. This is a single-frame HDR image. I simply processed the same raw image at two different brightness levels to bring up the ocean brightness slightly. While actively reviewing a lens, I generally have it mounted and ready to capture any appropriate subject that comes available. On this day, it was a raccoon that provided the entertainment and the Sigma 150-600mm f/5-6.3 DG OS Contemporary was fortunately the mounted lens. If you could use long focal lengths in a relatively small, light and affordable package, this lens is worth considering. With the 600mm focal length and image stabilization, I was able to capture this image handheld from a distance long enough to avoid scaring the critter away. This mother bear and her cubs (there were four of them) came to the edge of the woods and then this pose happened. The cub sitting at the feet of an upright, alert momma black bear, Pennsylvania's apex predator, with her claws ready, seems to be about as safe as it can possibly be. This was another case where a zoom lens saved the day. Had I been set up for the normal bear-on-all-fours position (I was) with a prime lens, I would likely have struggled to keep the bear in the frame when she stretched out vertically.